In this day and age we frequently encounter computer terminology that makes us scratch our heads. It is important to be familiar with the most basic computer terms to not get left behind. To help you out we’ve compiled a list of some of the computer terms we come across the most. BIOS – the fundamental input/output program computers use to interface with devices. Byte – 8 bits of data valued between 0 & 255. A bit is data valued at either 0 or 1. Crash – Occurs when applications don’t answer or respond. This is when a PC software problem occurs. Driver – Are programs that, when installed, interprets interfaced devices, so they can work on devices. Samples of hardware that require drivers are video cards and printers. 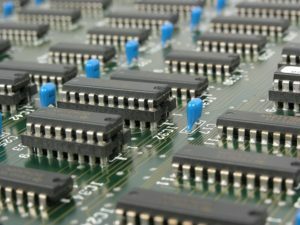 Firmware – When software is permanently written into a computer, it is what’s called a Firmware. Hardware – Physical parts of computer (case, disk drive, monitor, microprocessor, etc.). Internet Service Provider – Internet Company. Network – Cables and other electrical components holding data between computers. OS – The core software component of a computer. File – Permanent storage structure for data kept on a hard drive or other permanent place. Security Flaw – When hackers gain unauthorized program entry as a result of bugs. Software – Applications that operate on a computer system. Storage Media – Magnetic products that store computer data. Vulnerability – When unauthorized access could be acquired because of software problems. Worm – Unwanted programs accessing computers via software/system vulnerabilities. When you find yourself with free time, take a minute to read a tech blog or two. This will keep you aligned with tech’s current innovations and developments. Or at least not make you scratch your head anymore when shopping for your next laptop.